Private investment is key to stability in Sri Lanka’s conflict-affected north, officials and experts say. “Private investments are very important. 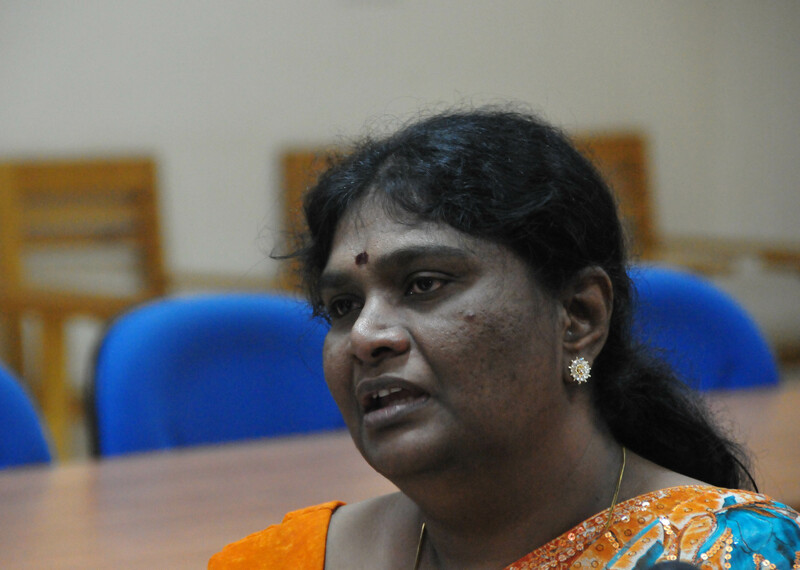 There are so many unemployed,” Piencia Charles, the most senior government official in Vavuniya District, told IRIN. "Private investments are key to creating sustainable income in the area,” said Anthonypillai Vinothraja, provincial project manager for the Ministry of Economic Development in Sri Lanka's Northern Province. The former war zone, popularly known as the Vanni, has seen a host of development projects since late 2009, but jobs are still scarce. Although current figures are unavailable, estimates suggest unemployment could be as high as 20 percent, with underemployment at around 30 percent. By comparison, the average unemployment rate nationally is 5 percent, according to the Central Bank. There is no data on private investments in the Vanni - viewed by many as vital for creating jobs. But despite its importance for social and political stability, livelihood development did not appear to be a priority in the government’s 2011 funding allocations for Northern Province. According to Nivard Cabraal, current governor of the Central Bank of Sri Lanka, just US$2 million was allocated, much of it in the form of cash-for-work programmes. Most funding - nearly $200 million - was allocated for infrastructure development which, though important for general reconstruction, does not necessarily translate into jobs for locals. In the Vanni village of Allankulam, which has recently benefited from new power lines in the area, not a single family has been able to pay the US$137 needed to get connected. “In an environment where [funding] resources are likely to be constrained. We need to look at how we can achieve a sustainable system,” Douglas Keh, country director for the UN Development Programme (UNDP) in Colombo, said, adding that it was understandable that most donor funding was earmarked for developmental work. "Jobs created by private investments will help in a major way to get these people out of the dependence syndrome and the sense of short-termism that prevails among them,” he said. However, getting people to invest in the former war zone may not be easy. "Private investors are still unsure of the situation in the Vanni. They are not likely to come in on their own," Nagmani Rathnaraja, deputy director of the Re-awakening Project for Mullaithivu District, under the Ministry of Economic Development. "If the government or donors take up the initiative and try to bring them here, others will follow. Someone has to take the lead to bring them here. So far that is not happening." Large private investments have been slow to appear. Several garment factories are to be set up in the north, but on the fringes of the Vanni. According to the Joint Plan for Assistance Northern Province 2011 prepared by the government, UN and donor partners, 80 percent of households in Northern Province are involved in agriculture. Government officials are more optimistic about the region’s economic prospects: Banks have opened new branches in the last year and over 38,000 small loans totalling $36 million had been approved in Northern Province by March 2011. The Central Bank has also launched the Poverty Alleviation Micro Finance project worth $1.5 million. According to the Sri Lankan government, more than 373,000 conflict-displaced persons have returned to the north following the end of the conflict on 18 May 2009 between government forces and the Liberation Tigers of Tamil Eelam, who had been fighting for an independent Tamil homeland for decades.